So spring arrives and what’s the first thing I do? Fall in a creek. Through word of mouth my other-half found out about a place not at all far from us called Elrod Falls. This tucked away little (ha not so little!) 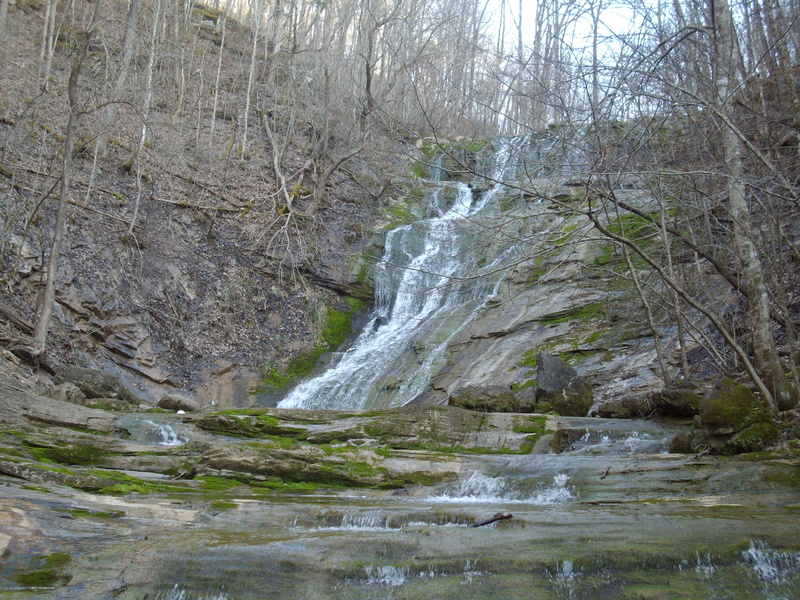 waterfall(s) is located in Sneedville, Tennessee. While there we encountered beautiful scenery. 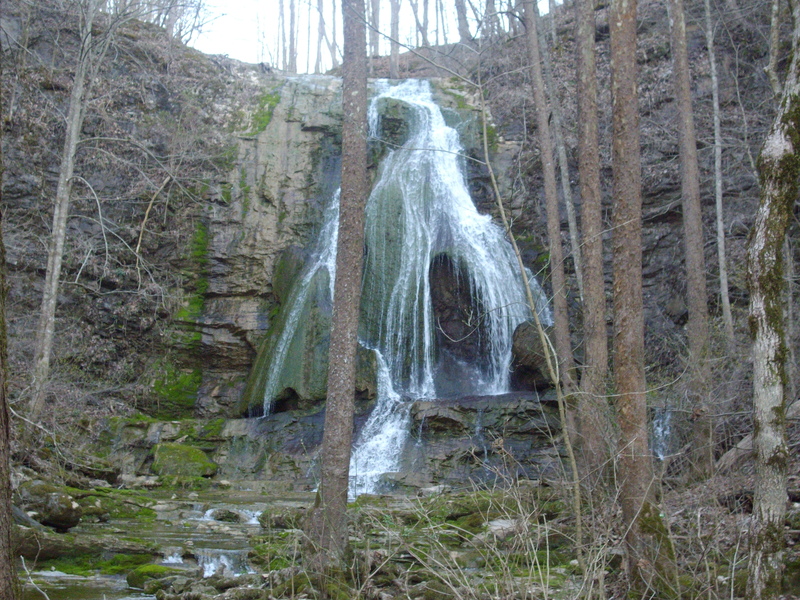 I don’t know much about the place, historical or otherwise, except there are three falls. The first one you can see from the parking area (gravel) and the second is a bit of a climb up. The third I’ll have to make a second trip to see. I must say- the water in March isn’t nearly as cold as it looked! On the way back, shepherding children proved to be more slippery (pun intended) than I anticipated. While directing them on which rocks for them to hop on and hope not to soak their tennis shoes- I failed to follow my own advice and Plunk! took a splash! Unfortunately the camera went with me. I’m still hoping after drying out it will once again please me with pictures. So rule of thumb if you’re out traipsing about the mountainside- take not only a change of clothes, but waterproof your camera for those unexpected and not so unexpected water sources! Other than Youtube I’ve not found much online information on Elrod Falls other than Overhome Cabins. I must say for such an unknown place, it sure was hopping with visitors!